1850- The City of Los Angeles was incorporated under U.S. law. 1944- During World War II a South African reconnaissance plane flew over the Auschwitz Concentration Camp and took photos. When they are analyzed in London, the intelligence boys declared it to be a synthetic rubber plant. 1952- CARTOON COMMIES- Nationally syndicated columnist Walter Winchell accused the owners of a New York commercial animation studio, Tempo Productions, of Communist sympathies. One of the owners was Disney Layoutman Dave Hilberman, who was a union organizer and was the only artist personally named by Walt Disney to the House UnAmerican Activities Committee. The F.B.I. began investigating Tempo and their Madison Avenue clients quickly pulled their business. Tempo closed, laying off 50 artists. Mr. Clean, Markie Maypo and the Hamm’s Beer Bear were once again safe from Red subversion. 1954- Arturo Toscanini, who had been making music since the 1880’s, conducted his final concert. Toscanini’s studio space at NBC is today the set of the Saturday Night Live TV show. 1958- Screen goddess Lana Turner and her gangster lover Johnny Stompanato had a violent argument that ended when Turner’s teenage daughter plunged a kitchen knife into his chest. She was acquitted as justifiable homicide, and rumors maintain the daughter was covering for her mother’s own actions. It was whispered Hollywood society ladies had nicknamed Stompanato’s willy Oscar for it’s size. 1967- Van Nuys premier head shop Captain Ed’s Heads & Highs first opened for business. 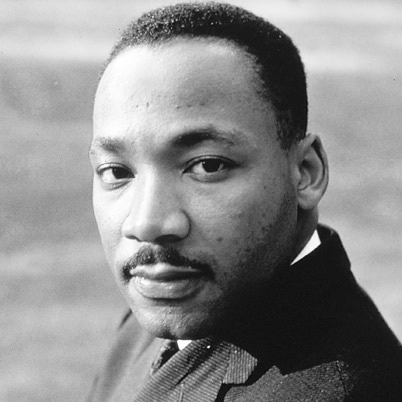 50 Years Ago- 1968- DR. MARTIN LUTHER KING ASSASSINATED. The great civil rights leader was struck in the head by a .30 cal bullet fired from a high-powered rifle, while he stood on the balcony of the Lorraine Motel in Memphis. He was 39. Dr. King and his team had been clowning around that morning, throwing pillows at one another. On the balcony Dr King’s last words were teasing Jesse Jackson for not being dressed properly for going out to dinner. Jesse was wearing a fashionable turtleneck instead of suit and tie. A man named James Earl Ray was later apprehended in England, confessed to the shooting and was given a life sentence. He later recanted his confession and said the FBI coerced him, and he was taking orders from a mysterious contact man named Raul. James Earl Ray died in 1998. 1984- In George Orwell’s novel 1984, this is the day Winston Smith started a secret diary and first wrote the dangerous thought-crime “Down With Big Brother”. 1987- Ronald Reagan’s FCC voted to repeal The Fairness Doctrine, which ordered news services to report unbiased news reflecting all opinions. This set the stage for the highly partisan political fake news reporting of today.